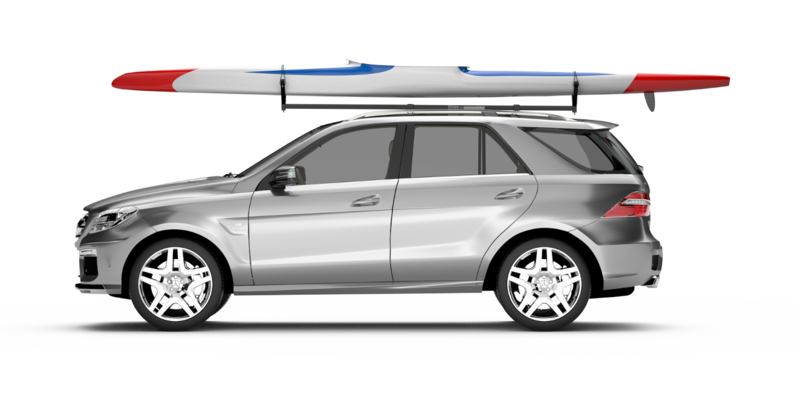 Makes garage parking a breeze. 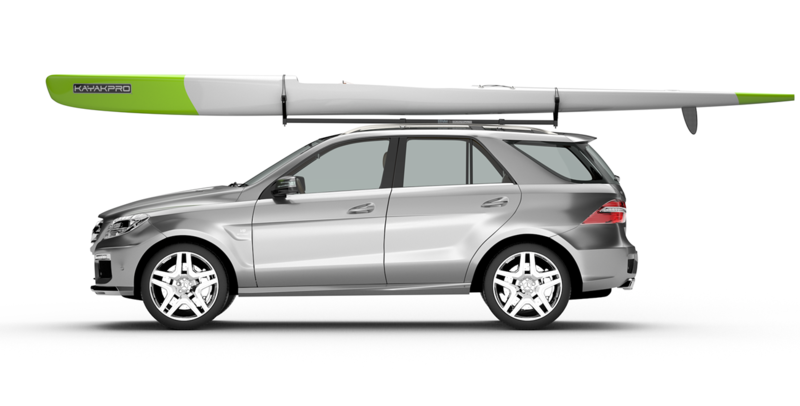 The “V” shaped boat supports “cradle” your boat – not too tightly, but safely and securely. With elasticated straps to hold it in place, this low impact combination avoids point pressure, over tightening and therefore damage to your boat. 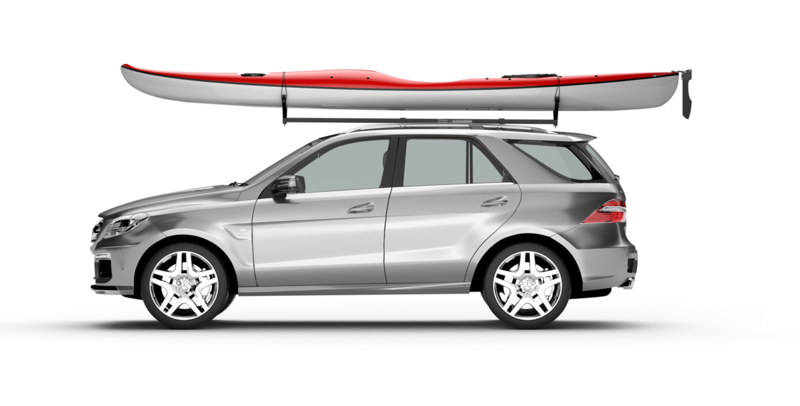 The EZ-detachable, adjustable support “V’s can be removed in seconds, to quickly make parking in your home or public garage a breeze. Their removal improves wind efficiency when the V’s are not in use. 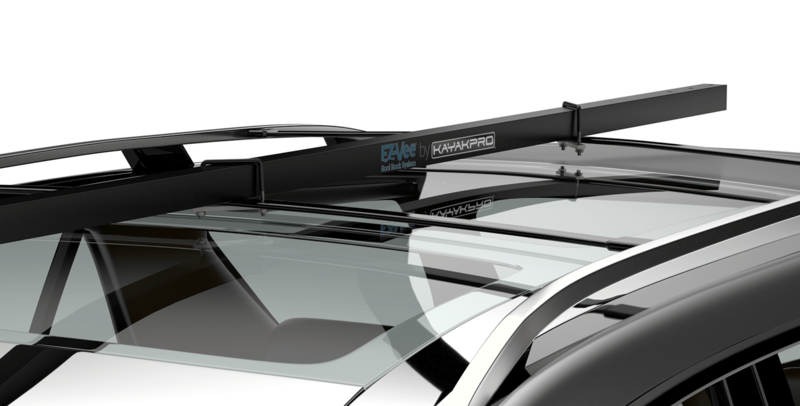 The lightweight, aluminum hard wearing black finish of this EZ-Vee Kayaking Rack look good on any vehicle! * Please note EZ Vee Kayak Racks are not recommended nor are they compatible with Round cross racks. 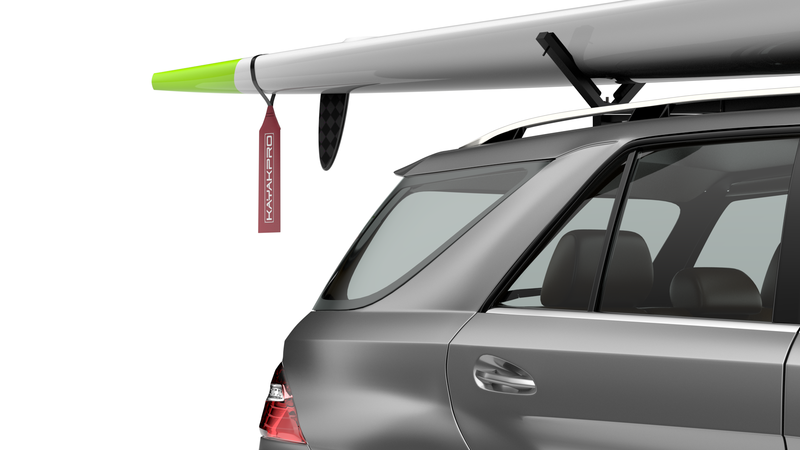 Included in the Kayaking Rack pack is a red Safety Flag to attach to your boat, and 2 Cam straps for additional safety.